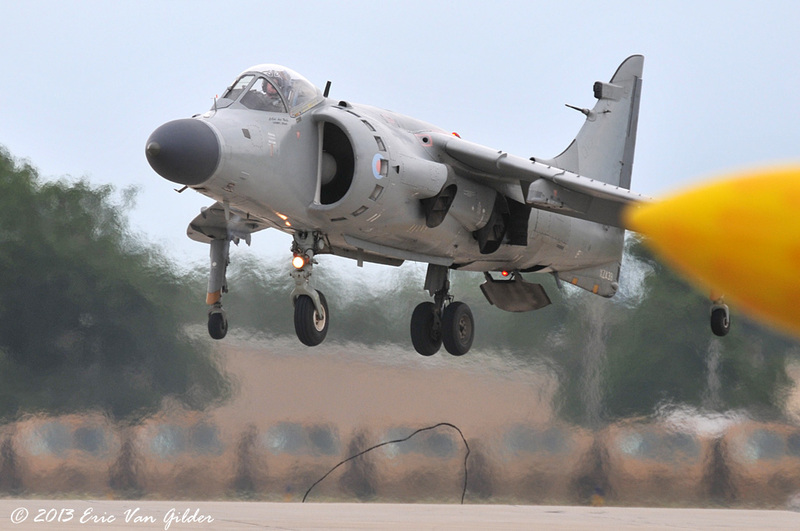 Art Nalls is a retired US Marine Lt. 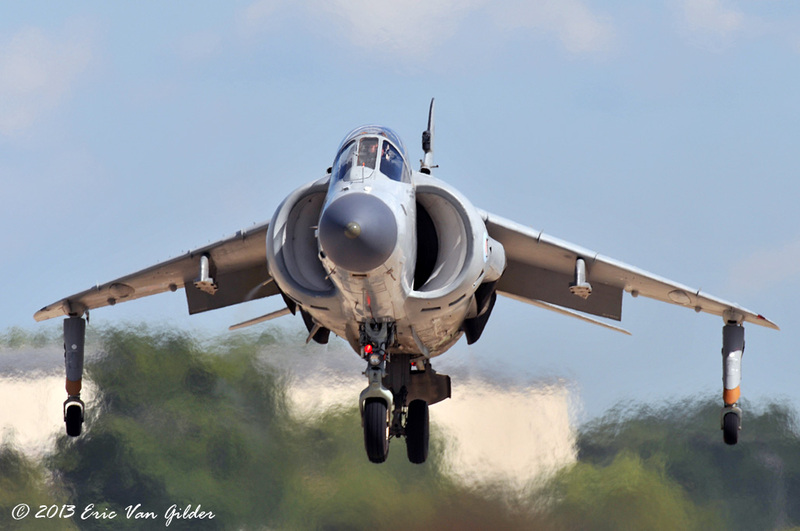 Colonel who was a test pilot. 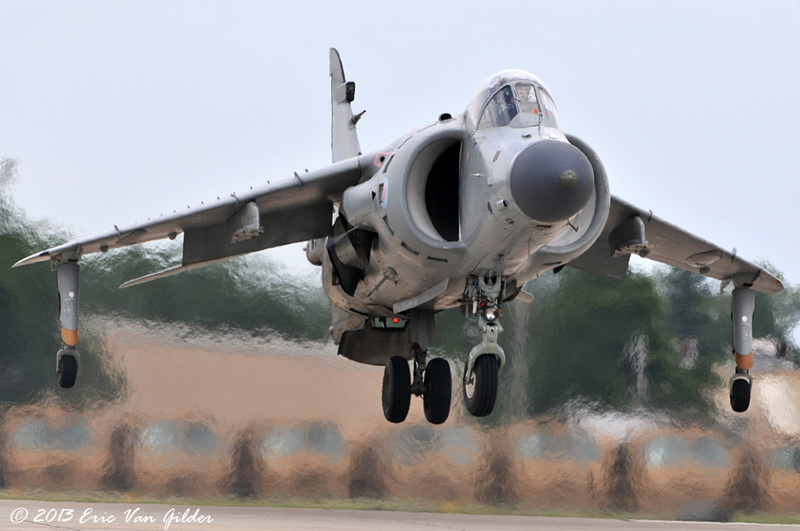 He purchased the Harrier in 2006. 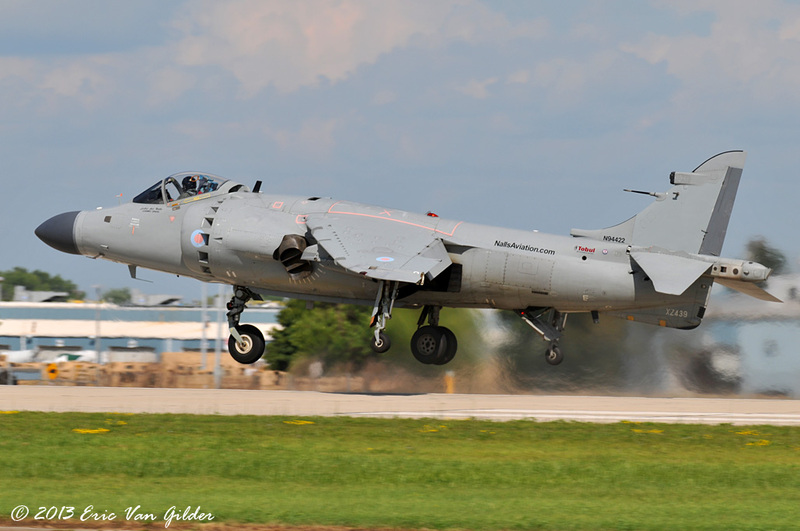 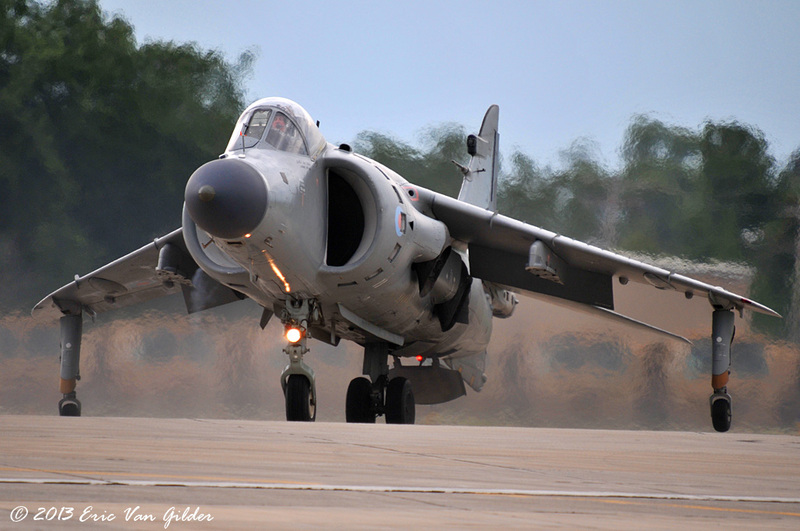 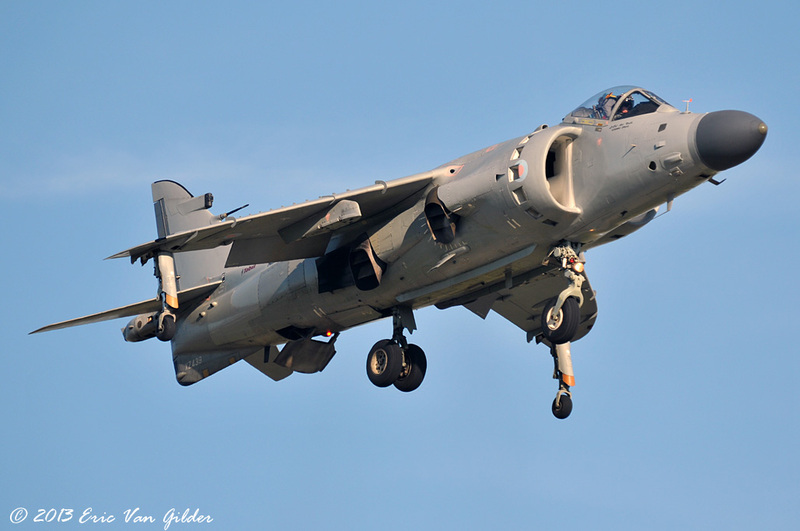 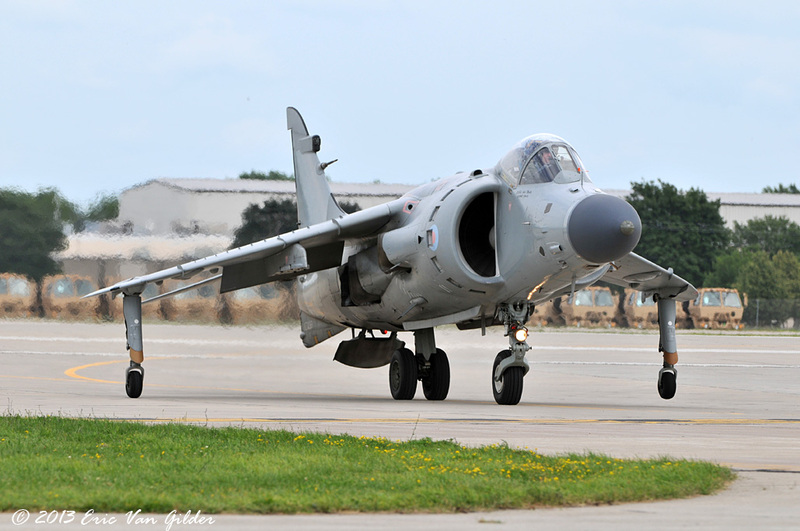 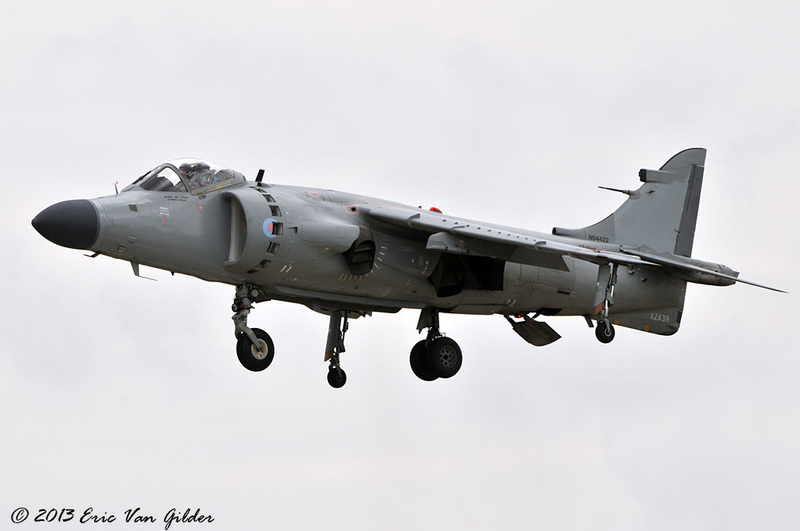 This one is the second Sea Harrier made and the oldest survivor. 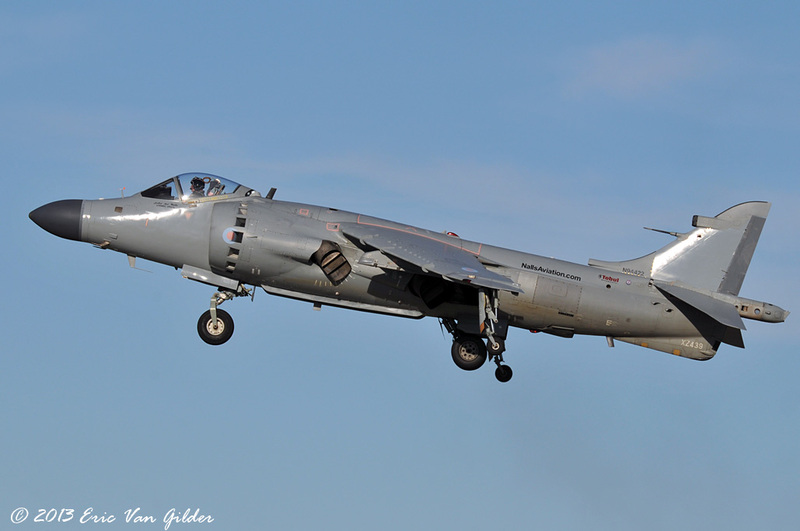 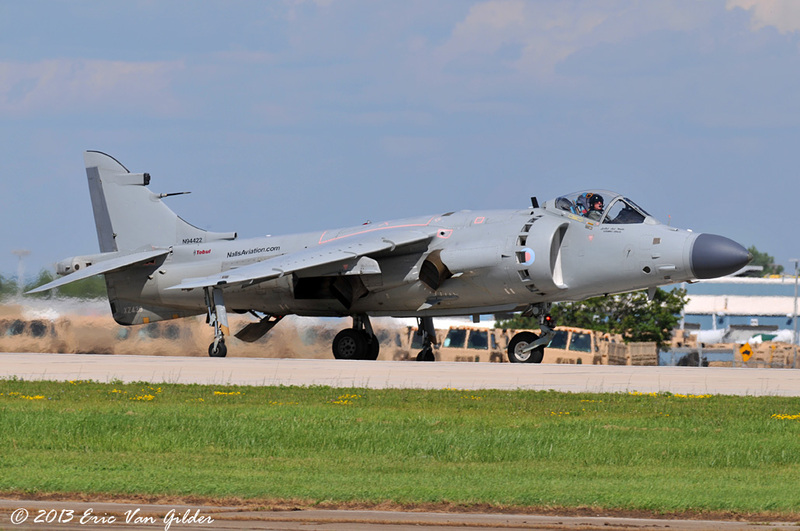 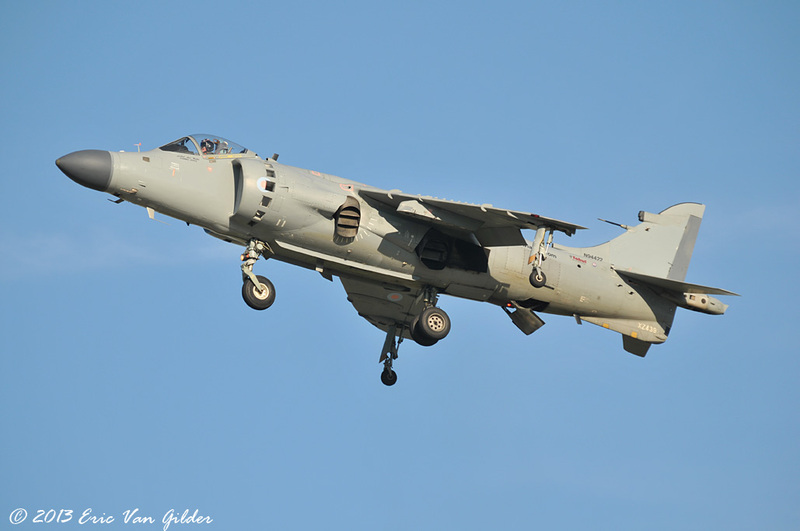 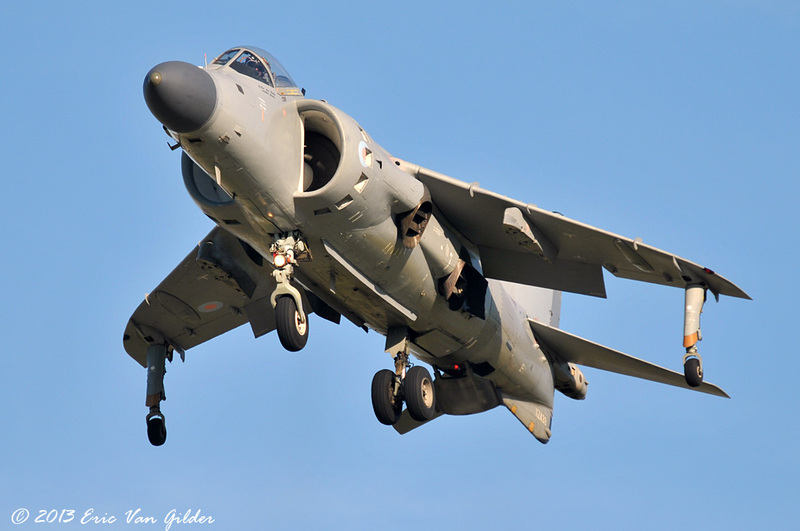 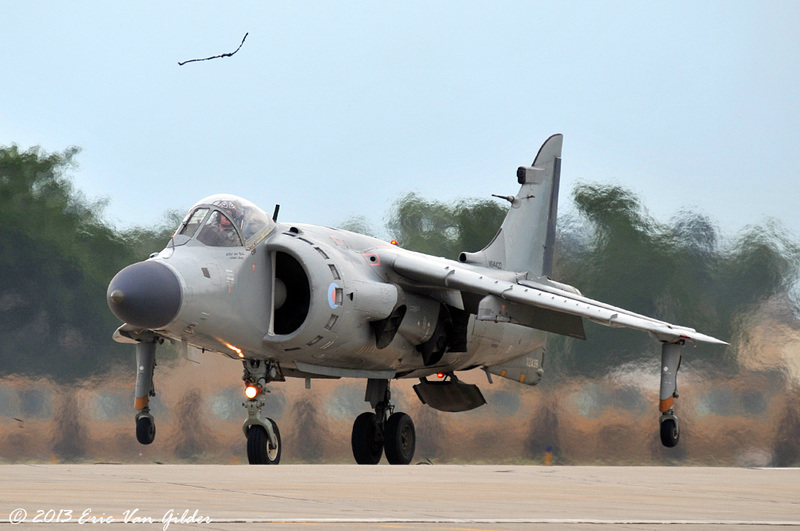 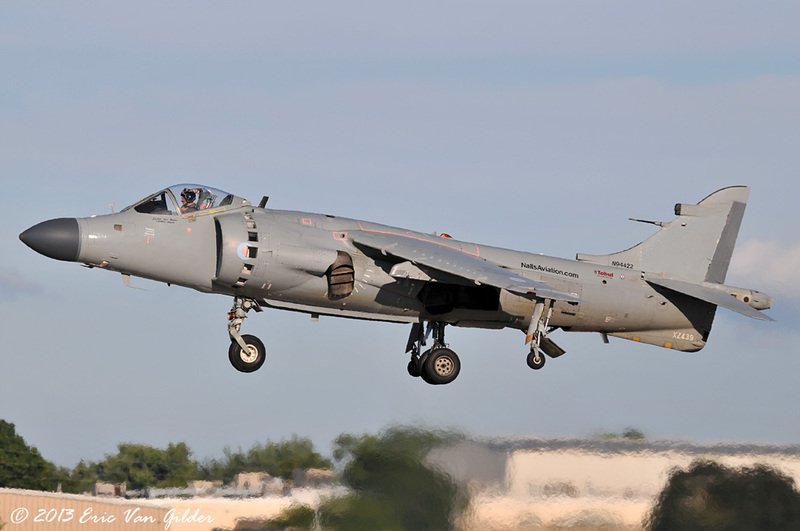 The Sea Harrier is quite different from the USMC AV-8 Harrier. 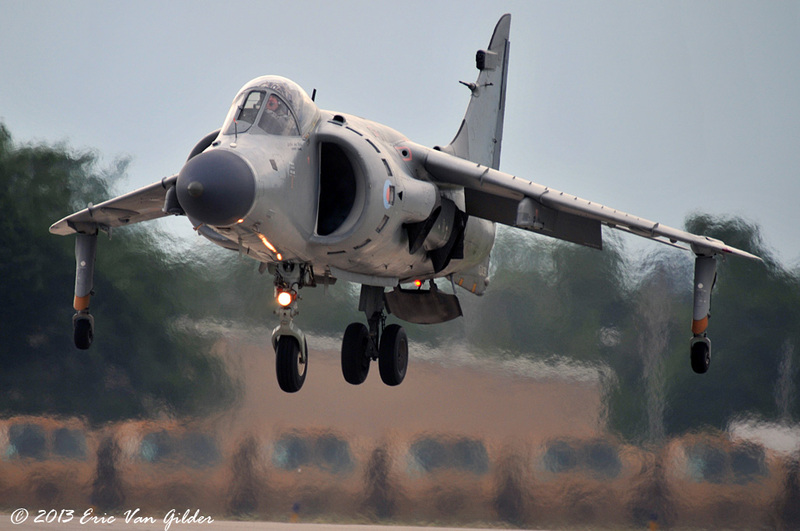 It's nose is bigger, the canopy is raised for better visibility and the wings are shorter. 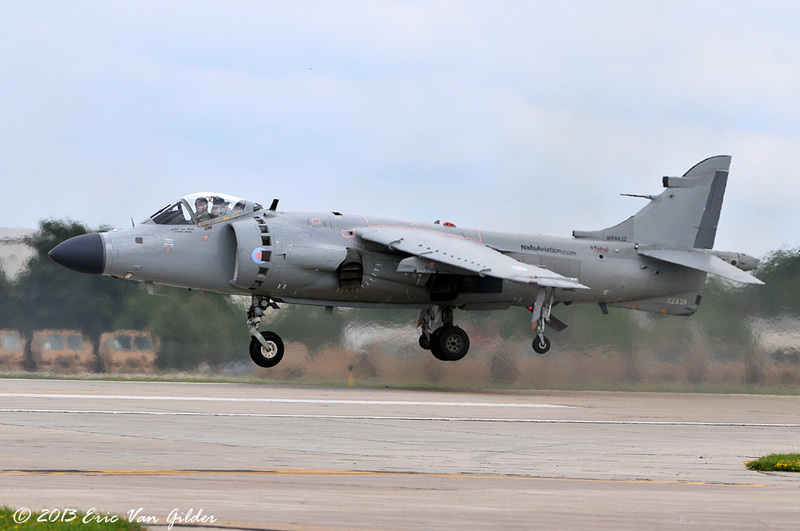 The British flew them as fighters, whereas the USMC flew them for air-to-ground and close air support.